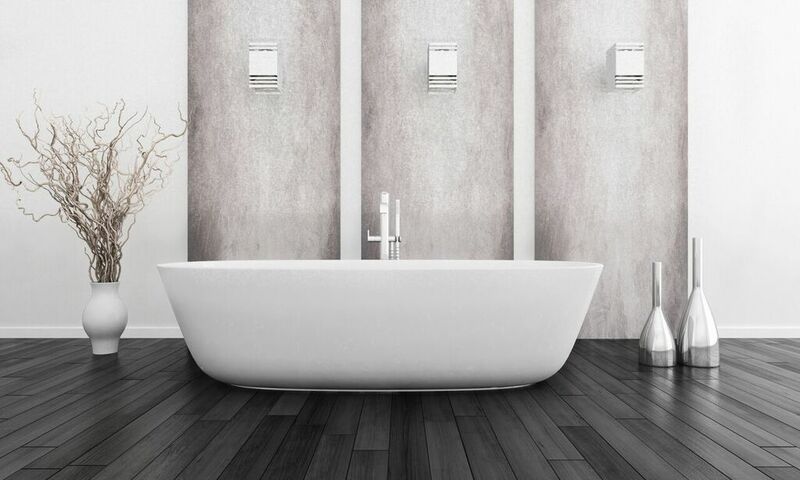 If gaudy, decadent contemporary tubs aren't for you, then the minimalist style might be just right for your taste. Minimal design emphasizes clean lines and a simplistic, uncluttered look that is utterly zen. Though high-end bathtubs are usually associated with over-the-top style, the minimalist design of some of the best luxury bathtubs lends itself well to spa bathrooms. Minimalism is an artistic movement that reduces art and design down to their most basic elements. French painter and interior designer Francis Jourdain once said, “One can furnish a room very luxuriously by taking out furniture rather than putting it in.” Decades later, architect Frank Lloyd Wright popularized the idea in America. His ideas inspired the Minimalist school, a movement founded by artists and designers who believed in this philosophy of simplicity. When applied to bathrooms, minimalist style manifests as clean lines, smooth surfaces, sleek fixtures, natural textures, and an overall lack of ornamental decoration. Minimalist high-end bathtubs are arguably the best for a spa bathroom since they're simplistic and clean in the spirit of the spa aesthetic. After all, the spa environment has as few distractions as possible in order to promote relaxation. Minimalism seeks to emphasize a few chosen features instead of drawing attention to many different ones. For that reason, homeowners and designers must choose the features of their bathroom carefully. A minimalist high-end bathtub makes a great focal point since they're designed to be both functional and visually appealing. Other features of the bathroom might include high-quality cotton towels, sleek fixtures, vanities, and countertops with uninterrupted surfaces. You might also choose floors and surfaces made of hardwood or natural stone. Not only does minimalism celebrate understated design, but it also makes use of materials and patterns found in nature. The style features smooth lines, geometric shapes, and natural textures. This component of minimalist design makes contemporary tubs ideal bathroom centerpieces. The best luxury bathtubs for the minimalist bathroom are made from nature-inspired materials like stone, wood, and metals including copper and stainless steel. The rounded, oblong shape of some contemporary tubs also lends itself well to the natural feel of a minimalist bathroom. It should also be said that minimalist doesn't have to mean “bland.” Natural textures help to add variety and depth to a minimalist bathroom. You can also see examples of minimalist design in a Scandinavian sauna, or in an adobe sweat lodge. Minimalism emphasizes simplicity and harmony, but not necessarily by sacrificing beauty and character. If before you thought that the best luxury bathtubs were grand and ornate, then now you should know better. 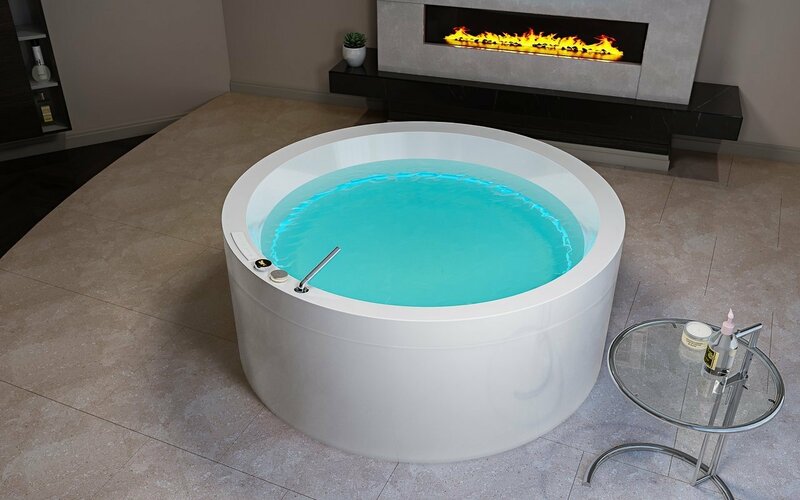 Modern tubs are also sleek, simplistic, and beautiful. Minimalist style has made a strong comeback when it comes to home and bathroom design, so take advantage of this uncluttered, visually appealing style for your spa-inspired bathroom.